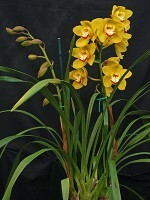 With a compact growing and plant and vibrant flowers sporting seasonal-appropriate colors this Cymbidium is a quintessential Autumn bloomer. 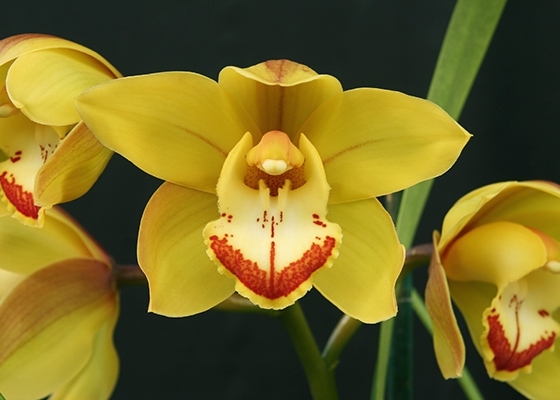 The shapely, bronze and yellow flower has a striking, bright red border to its creamy lip. .Temperature Tolerant. November blooming.